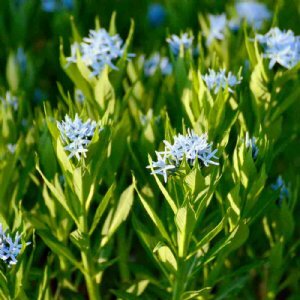 Amsonia plants, commonly called Blue Star, are wildflowers that produce dense clusters of blue flowers with colorful foliage that turns from green to golden in the fall. Low-maintenance and drought tolerant! 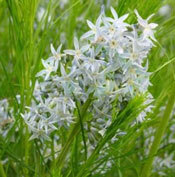 All our Amsonia plants for sale are shipped with very well-established root systems. We guarantee them to arrive alive and thriving.